Anything contained on this page does not affect your statutory rights as a consumer. You can place an order with Barton Fields (Patio & Landscape) Centre Ltd through the payment gateway on this web-site, by visiting the centre itself or by telephone on 01283 711288. When you place an order with Barton Fields (Patio & Landscape) Centre Ltd you are making an offer to buy goods. Where possible we will acknowledge your order. We will check stock availability and the price and in the unlikely event that the goods are not available or are subject to unexpected delay and/or there is a pricing error we will endeavour to let you know as soon as is reasonably possible. You will then have the opportunity to decline the offer if you so wish. Otherwise, we will confirm the order details with you and our offer and the acceptance of such forms a contract between Barton Fields (Patio & Landscape) Centre Ltd and yourself. In order to minimise damage and to ensure safe and secure deliveries of goods by pallet courier, the customer or third party contractor to whom the goods are being delivered, must ensure that the following criteria are met. · There must be enough access for a large vehicle - normally a Tail-Lift 7.5 – 18 Tonne Large Goods Vehicle. · Pallets will be delivered to the closest point of the property to the main highway. If the property is a private dwelling this may mean on the pavement outside if there is no frontage or access to a driveway. It will be the responsibility of the customer or third party contractor to ensure that the goods will not cause a safety hazard. · No guarantee can be made by Barton Fields (Patio & Landscape) Centre Ltd as to specific times for a delivery. Deliveries are usually made between 8.00am and 6.00pm on the day specified to the customer. However, stated delivery dates are a notification of intent and not a guarantee of delivery, Barton Fields Ltd cannot be held responsible where a delivery fails to arrive due to events beyond our control such as traffic congestion, vehicle breakdowns etc. etc. We suggest where possible you remain flexible on delivery dates and times. · It is always recommended that you ensure goods are on site before engaging contractors to start any works. · Our own Lorry Mounted Crane Lorry that is used on a regular basis is about the same size as a Fire Engine/Refuse Collection Lorry thus please appreciate that good access adjacent to your property is required. Overhanging trees or narrow access points can be problematic. · The goods will be off-loaded by a mechanical crane to the front of your property where it is safe to do so and at the discretion of the driver. · The driver holds the right not to perform any manoeuvre that he / she feels is un-safe and or could potentially cause damage to the goods, the property or the vehicle. · Any demand for the driver to drive onto your property that results in damage to any part of the property incurs no liability to the driver or Barton Fields (Patio & Landscape) Centre Ltd.
· No guarantee can be made by Barton Fields (Patio & Landscape) Centre Ltd to a specific time of delivery. Deliveries are usually made between 8.30am and 5pm on the day specified to the customer. Events beyond our control may result in a delay such as traffic congestion, vehicle breakdown etc. etc. We suggest where possible you remain flexible for delivery day and time. Barton Fields (Patio & Landscape) Centre Ltd cannot be held responsible for delays in deliveries by third party companies (Pallet Courier Companies / Outside Hauliers etc.). Estimated delivery dates are for guidance only. On occasion this may be extended due to circumstances beyond our control. We will not accept claims due to standing labour, loss of work days or any other situation should this occur. Barton Fields (Patio & Landscape) Centre Ltd recommend that you order materials and ensure they are delivered to site before contractors are booked to start the works. Ensure your site is ready to accept the delivery before the delivery lorry arrives, it can be extremely difficult for the driver to 'drive round the block' a few times whilst vehicles and or equipment are moved to make space for ordered goods. · Please take care that the quality of the goods that are to be returned are in no way diminished as a result of handling the goods beyond what is necessary to establish the nature, characteristics and functioning of the goods (particularly if it goes beyond the sort of handling that might reasonably be allowed in a shop). 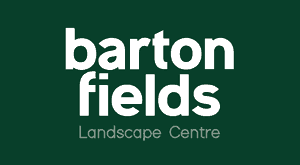 Barton Fields (Patio & Landscape) Centre Ltd reserve the right to deduct an amount from the refund, up to the value of the purchase price, should the goods be returned damaged in any way. · For any 'Special Order' that you wish to cancel, all associated costs of the manufacture up to the time of cancellation will not be issued as part of the refund. Special Order products include all the Cast Stone Ornament section, the Garden Folly & Stone Arch section as well as any other product that we have had made to order. Please contact us before you order if you are not sure if the product you are interested in is classed as a special order. Cancellation of a ‘Direct to Site Order’ will be subject to minimum £25.00 administration fee once the order is placed. In the unlikely event that you suspect damaged or faulty goods on delivery, please notify us as soon as possible. Where possible if you have received faulty or damaged goods please send us an email containing several images of the product. We will deal with the matter according to your legal rights. At Barton Fields we supply large quantities of paving and a large percentage of this paving is imported from all over the world. In some cases you will receive a small amount of slabs that may be broken within the crate or manufactured slabs that may have hair line cracks etc. When ordering goods please allow for a small percentage of these breakages, a reasonable allowance would be 5%. Many contractors who lay paving on a weekly basis will try to use the broken ordamaged slabs for any cutting that is required on site. Breakages within a paving pack deemed to be excessive, must be reported to us within 14 days. Please try to use damaged/broken slabs for cuts where possible otherwise they may be unfortunately 'skipped' and end up at a landfill site. 3.2 Natural Products - Colours / Dimensions. Whilst every effort is made to display accurate images on this web-site, many of the products supplied by Barton Fields (Patio & Landscape) Centre Ltd are produced from Natural Stone. Colours on an electronic device can often appear different to how the colours of the actual product looks to the naked eye. To be 100% sure that the colours are to your liking, please visit our display centre where you can see the product. Posting out samples can also cause a problem as many ranges of natural stone paving vary tremendously from piece to piece thus receiving one small sample slab can give a false impression. We do however offer a sample service. Postage and packaging will be charged and can be paid with card. Product dimensions of landscaping products can also vary and any dimensions given on the website are nominal and for guidance only. It is worth speaking to our staff first before visiting the centre to make sure the product you are interested in is in stock to view. Wood is a natural product and therefore susceptible to changes in an outside environment. Extremes of temperature or changes in weather conditions will cause reaction in timber used outdoors. Heat may cause panels to lose shape but this process will be reversed when temperatures subside. Posts and Pergola timber may warp in higher than normal temperatures. This is perfectly natural and in all but the most extreme cases normal shape returns. Sawn timber and particularly machine-rounded items such as sleepers and palisades may split. Natural timber will also contain knots and or knot holes. This is a normal feature of timber and will not affect the structural strength of the wood or the guarantee.